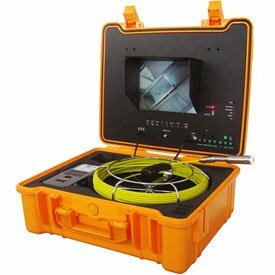 Includes:5.2mm 130 Ft Fiberglass Cable & Reel. 7/8 inch Color Camera Head with 12 LED lights & Built in 512HZ Sonde Transmitter. 10 inch LCD Monitor with DVR & MIC. Heavy Duty Waterproof Case. If you have any questions about this product by Forbest Products Co., contact us by completing and submitting the form below. If you are looking for a specif part number, please include it with your message.